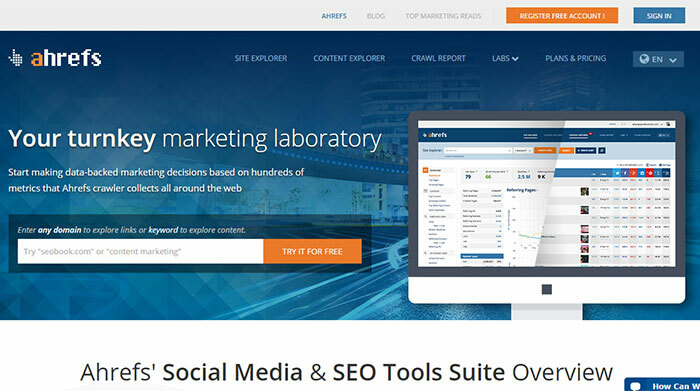 Do you know which are the best backlink checker tools now? Free, Paid or Freemium whatever, backlink checker tools is essential for SEO optimizer. The functionalists related to the backlinks may be the most important parts of SEO improvement. To complete the backlink strategies is not easy. You have to find the right site to create right backlinks. 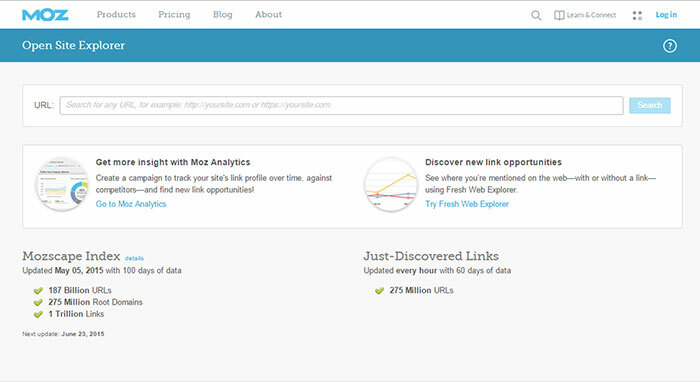 Then you have to track your backlinks to see how they are working for optimizing your pages or sites. There are an uncountable amount of backlink checkers on the internet. But, the right one only can give you the right checking or report. This article will focus the best 10 backlinks checker tools that can give you the ultimate, fair and clear concept of your backlinks that will help you with analysis and prepare your next backlinks building policies. No punks, let’s see the main points. I have been using it for 2 years. Aherf is the top backlink checker tools i ever seen. 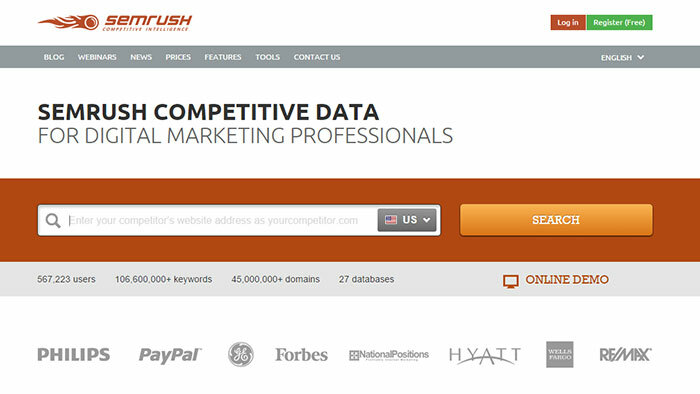 It is basically a paid backlink checker website. But, you can use its free, register account that will give you the accurate and full analysis on your backlink status as well as anchor text analysis. After Aherf, Moz’s OSE is one of the top backlinks checker tool for web masters. Open Site Explorer is a favorite checker for backlinks. It comes with both of free and paid version. The paid version works best if you have a pro account of SEOMOZ. Its free account is also worthy of giving 100% right status of your backlinks and your competitor’s site backlink status that helps you to compare your situation. Alexa has a paid toolforbacklink checking. You have to pay $9.99 for a month. You can check as many backlinks as you want. As it is a pro version, no doubt it gives you a complete and fair report. Of course, you can use it’s free trial for 30 days. Then you can decide its pro account. SEMRUSH added some new features that are completely able to check your website’s backlink status accurately. That’s why; it has been a dominating backlink checker tool ever. But, it is not free. It is a premium online tool. You can use its trial version for 14 days. If it satisfies you, you can use its pro version for $149. Probably, OpenLinkProfiler is the best free tool for backlink checking. You can check your newest and other backlinks through this free website. If you are looking for the top free backlink checker, you undoubtedly can use it for accurate results. You can export a list of 1000 newest backlinks in a .csv format. 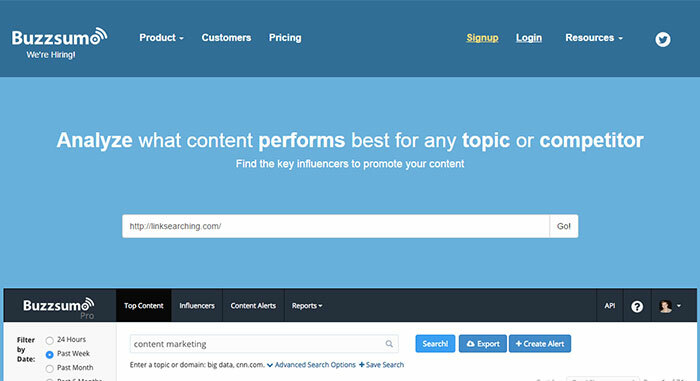 BuzzSumo is combined with both free and paid versions. It is best for the sites based on the content marketing and creation. The pro version has some unique features that help you to check your backlinks to any distinct pages or your domain. You can also export a list of your backlinks in excel or .csv format. 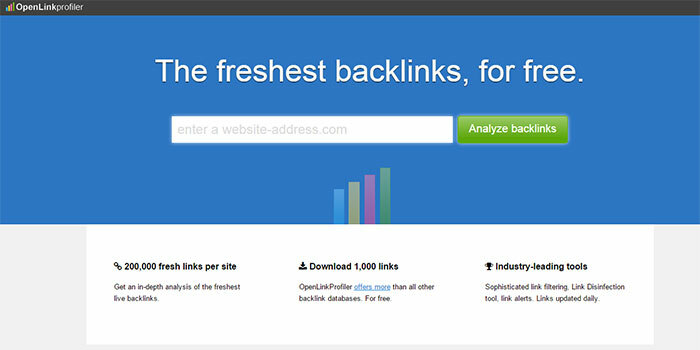 BackLinkWatch is another one of the best backlink checker tools. It is mainly used by the bloggers, especially for the niche blogs. Sometimes, I use it. I don’t like its pop-up feature. Of course, you can close it just by one click. This tool can give you the detail information of your blog’s backlinks completely. Link Diagnosis is another one that is featured with a different option. 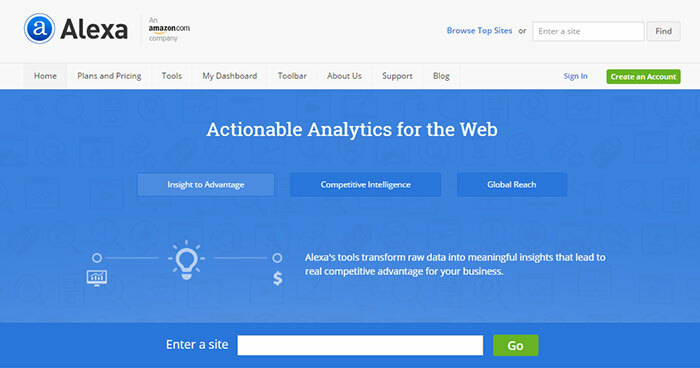 It can give you a complete report of a single page or whole website or a domain. It gives youthe right information of your backlinks by diagnosing various relevant SEO factors. Link Diagnosis works best with Firefox. 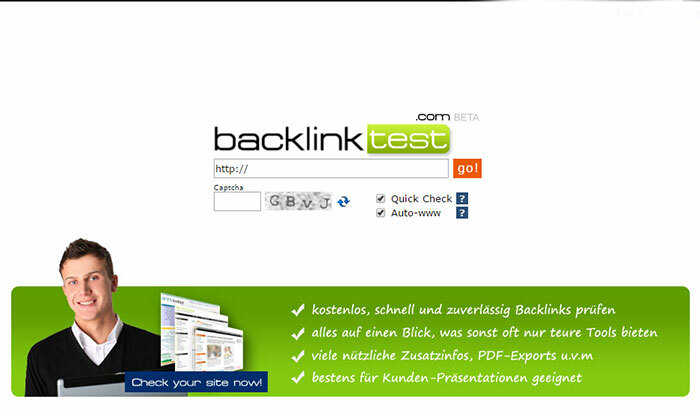 Backlinktest is a free backlink checker tool. But, you can check your backlinks detail and completely. It will give you all the right information related to your backlinks. I don’t like its captcha style during backlinks checking. 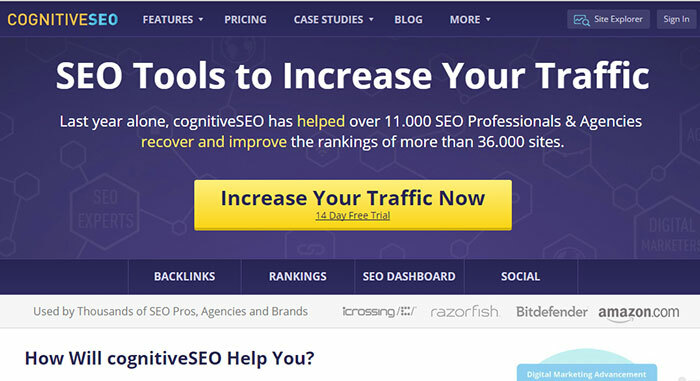 CognitiveSEO Backlink Checker has both free and pro access. By free account, you can have a report of 25 backlinks each time. Its paid version varies from the amount of backlinks and time frame. You can use its 14 days free trial. Last of all, I tell you to choose the best one out of the above top backlink checker tools because a good analysis of your backlinks can build up your site, while a slight mistake of tracking of your backlinks can bring a vast loss for your site.